My name is Nathan Betcher, and I was born and raised here in Regina, Saskatchewan. I have an older sister, an older brother, and a younger sister. I have attended Regina Christian School since Grade 6 and have definitely enjoyed it. It is an encouraging, close-knite community and because of that, I have seen tremendous growth in my relationship with God over the years. Music and sports are a big part of my life. I have participated in a number of sports, including basketball, soccer, football, speed skating and golf. However, my high school years have not been friendly to me in this area, as I have missed out on over half of my high school sports career due to injuries. Although this was not ideal, it sparked my interest in music. I play acoustic guitar, electric guitar, bass guitar, ukulele, drums and a little bit of piano and harmonica. I have had the opportunity of using my gifts to serve the Lord in church by leading worship and playing in the worship band there, as well as in chapels at school. Spending my time in praise and worship of my God is one of my favourite things to do. My future plans are to go to Millar College of the Bible for a four-year degree. Using that degree, I want to pursue music ministry as a worship pastor. 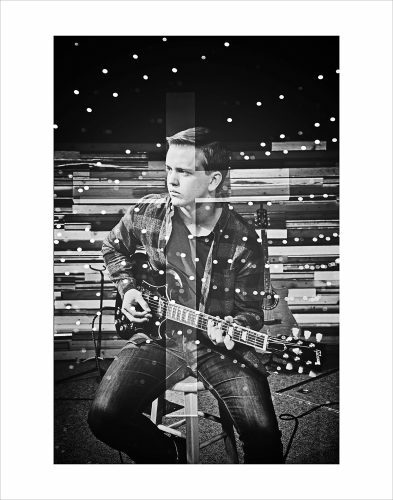 I love music and I want to serve my Lord with it for the rest of my life, wherever He leads me. WIN A CHRISTMAS FAMILY SESSION!